Lexington, MA, March 21, 2017 – Daymark Solutions, a leading provider of information technology solutions, today announced that for the 8th consecutive year it will support the Run to Home Base charity event which will be held on July 15, 2017. It is Daymark’s second year as a Run to Home Base corporate team sponsor. 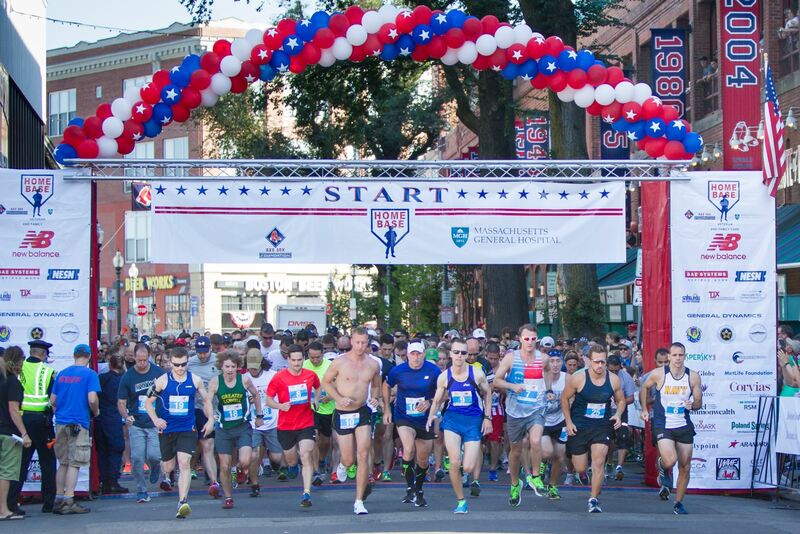 The annual event, dedicated to healing the “invisible wounds of war,” consists of a 9k run and 5k run/walk route through the streets of Boston with the finish line at home plate in historic Fenway Park. This Red Sox Foundation and Massachusetts General Hospital program is dedicated to healing the invisible wounds of war for Service Members, Post-9/11 Veterans and their Families through clinical care, wellness, education and research. All funds go to families in New England. A corporate team sponsorship consists of at least 30 runners and/or walkers and a minimum fund raising commitment.. To date, Team Daymark has raised over $100,000 through this event thanks to the generosity of its employees, customers, partners and suppliers. Anyone wishing to donate this year can do so by visiting the Team Daymark Donation Page. Following the 2007 World Series win, Red Sox players and owners met with wounded Veterans at Walter Reed Army Medical Center, and learned of the medical challenges many of our returning Veterans were facing. Red Sox Chairman Tom Werner made a commitment, following this 4-hour visit, to partner with the Massachusetts General Hospital to address the signature Invisible Wounds of War. Home Base is the first partnership of its kind in the nation between an Academic Medical Center and a Major-League Baseball team. For more information on Run to Home Base or to donate to this worthy cause, please visit: www.runtohomebase.org.